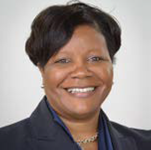 The Massachusetts Convention Center Authority (MCCA) announced the hiring of Joyce Leveston as general manager. She will begin on July 16. In her new role, Leveston will be responsible for overseeing the MCCA’s overall business operations teams and contract partners with a major focus on leadership, management and direction to further enhance the customer’s experience at the Boston Convention & Exhibition Center, Hynes Convention Center, and Lawn On D.
She currently serves as director of convention services at the Walter E. Washington Convention Center in Washington, D.C. where she leads a team of 14 and manages all aspects of convention services, event and facility operations, and coordination between the facility and its contract partners. Leveston has managed many signature events such as the Presidential Inaugural Balls, the Nuclear Security Summit for President Barack Obama, the Republican National Convention, the Congressional Black Caucus Foundation Annual Legislative Conference, and the AIPAC Policy Conference. Leveston brings a wealth of industry knowledge to her new role. She has prior experience in key leadership roles in several Tier 1 convention markets including the San Diego Convention Center, the George R. Brown Convention Center in Houston, TX, and the Miami Beach Convention Center. At each stop she took on additional responsibilities and earned the confidence of her peers within the organization while raising her professional profile through membership in multiple professional organizations. Leveston is a regular participant in industry task forces and has been a presenter at events both domestic and international. So Very Proud Of You Ms. Leveston! Good Luck in the new endeavor.